Where will your successor come from? 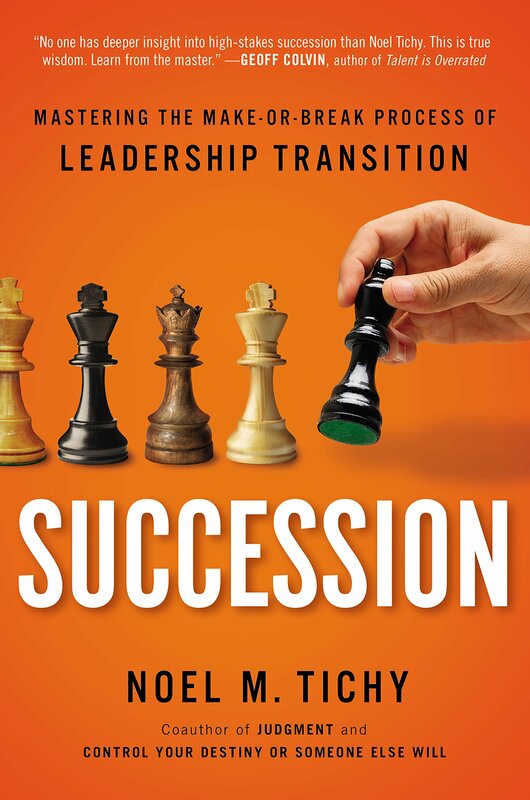 Steve Mostyn wrote a review of Noel Tichy's new book, SUCCESSION-Mastering The Make Or Break Process of Leadership Transition. If you are not familiar with Noel's work, he's known for leading GE's company leadership institute and transforming the leadership pipeline under Jack Welch. He is a trusted adviser on management succession to many leader companies. His book examines why some companies fail and others succeed in training and sustaining the next generation of leaders. He reviews case studies of H-P, IBM, Yahoo, P&G, Intel, and J.C. Penny. Tichy concludes that the most important responsibility is to grow transformational leaders from the inside so that you never need to go outside.